1947-66 Exhibit Baseball Collection (55) - Includes 6 Signed. 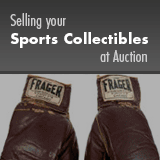 Offered is a seventy-eight card collection of 1947-66 Exhibits Baseball. Includes a nice assortment of Hall of Famers and stars. Signed - 6 cards, Larry Doby, Bobby Doerr, Hal Newhouser, Ralph Kiner, Johnny Sain, and Minnie Minoso; Unsigned Notables - Mickey Mantle (EX), Willie Mays (VG/EX), Hank Aaron (PR & GD; x2 w/ One Red Stat Back), Stan Musial (VG/EX, GD, FR/GD x3), among others. Collection grades VG to VG/EX with some nicer and lesser. Pre-Certified by PSA/DNA.